Freedom Treks, specialising in self-guided and guided bike tours in Europe and Asia, has a wide selection of family-friendly trips to a range of exciting destinations. The routes follow dedicated cycle paths or very quiet roads, the daily distances are shorter and manageable for the smallest of legs and the accommodation comprises a selection of hotels, all ideal for parents, children and grandparents. Cycling is a wonderful way to make the most of the great outdoors with fresh air and exercise addind to the sense of adventure. Families can bond when navigating the journey, pick up different languages from the locals and immerse themselves in the varied cultures. Plus, the leisurely nature of the itinerary means there’s always time for a pit-stop, whether it be for a delicious ice cream, an inviting playground or a chorus of frogs. Freedom Treks offers a wide range of bikes for all cycling levels and ages. Aside from children’s bikes, adult’s bikes and adult e-bikes, the company can also organise child seats, trailers, tag-along bikes, a family tandem and follow-me bikes. Launching in April 2019, families can make the most of the great outdoors during summer and explore Italy’s South Tyrol on a self-guided bike tour. Enjoy an unhurried day cycling around Bolzano and Merano – making the most of the outdoor pools en route – before pedalling south through Italy along dedicated cycle paths following the Adige River valley. Roll down through incredible mountain scenery towards Auer, Trento and Roverto, finishing on the sparkling shores of Lake Garda. Along the way, kids and grownups can stop off at a rock-climbing area in Auer, visit a dinosaur trail in Val d’Ultimo, marvel at the magnificent Beseno Castle near Trento and tuck into a pistachio ice cream in the town of Mori. The self-guided nature of the trip means families can take each day at their own pace and indulge in as many breaks as they like. Lake Garda offers a wide range of activities for families, including swimming, boat rides and the castle at nearby Malcésine. Plus, there are plenty of places to try traditional Italian food, including the ever-popular pizza. The longest cycle ride is 28 miles and e-bikes, for adults, and/or child tag-along/trailers can be organised; all abilities and fitness levels are catered for. Each evening, stay at three-or-four-star authentic hotels, all of which are family friendly and a great way to experience life with the locals. Pedal from the UNESCO World Heritage Site of Linz to the artistic Austrian capital Vienna on this seven-night tour. Ride through the Austrian Danube valley on the flat, paved cycle paths that ideal for children and those new to cycling tours. Families can try the many extra activities en route, from the Dragon Train in Linz and the water park in Ardagger, to the museum of ship building in Spitz and paddling on the renowned Danube. Other cultural highlights include cycling to the Celtic open-air museum near Mitterkirchen, pausing at the Maritime Museum in Grein and riding Vienna’s Giant Ferris Wheel, one of the oldest operating Ferris wheels in the world. Throughout the journey, tuck into regional specialities such as Linzer torte, Weiner schnitzel and many traditional sweets. The trip departs on any day between April to October 2019, meaning parents are not constrained to certain dates or departure days and therefore can find great-value flight prices. Plus, the self-guided nature of the holiday means kids can stop and have a snack, or a picnic, whenever wanted. Although the longest cycle ride is 30 miles, the routes are mostly flat and e-bikes, for adults, can be hired for that extra push. Various discounts are available for children age up to 14. A seven-night Danube – Leisurely Linz to Vienna self-guided tour, departing during the summer holidays 2019, costs from £491 pp (for two adults and two children – age 9-11 – sharing a quad room). Price includes B&B accommodation at three-and-four-star hotels, luggage transportation, maps and route information, ferry from Spitz to Arnsdorf (including bike), boat trip from Spitz to Krems (including bike), train ride from Vienna to Linz, Viennese Ferris Wheel ride and luggage transportation. Return flights, transfers, other meals and bike hire extra. Bike hire costs from £68 per child (trailers tag-along bikes and child seats available) or £68 per adults (hybrid bike with 21 gears) or £150 for an adult’s e-bike. Save 5% off the tour price when booked to months before departure. Go on an unforgettable adventure to one of Asia’s most welcoming and spectacular countries, Cambodia. 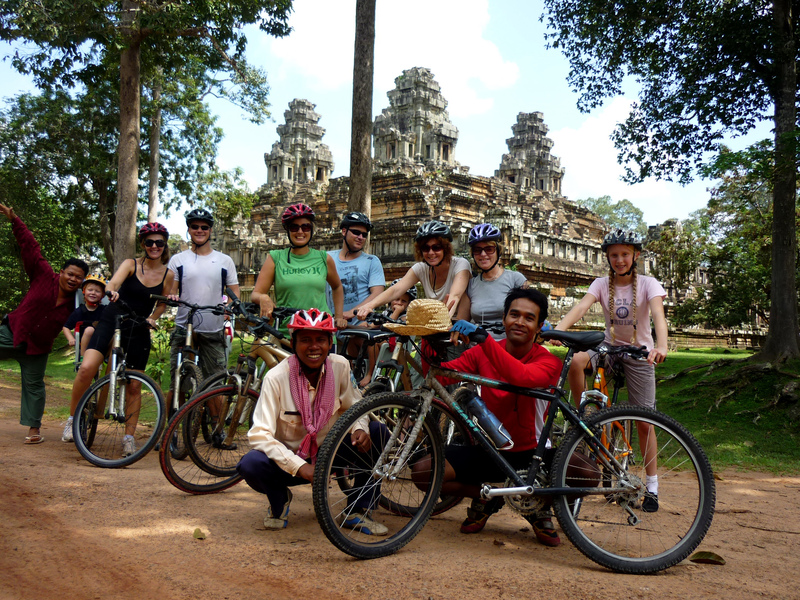 Cycle from the vibrant Siem Reap, stopping at Angkor Wat and Battambang, to Phnom Penh, the bustling capital. After a night marvelling at the different acts at Phare Circus, comprising a fusion of acrobats, art and music, wake up early to watch the sun rise over Angkor Wat before cycling to the ethereal temples and discovering the lesser-known sites with a knowledgeable guide. Back in Siem Reap, pedal along countryside paths passing villages, vegetable plots and fishponds, then transfer to Tonle Sap Lake, where families can enjoy a boat and kayak ride to the small floating village of Meatrey. In the afternoon, travel to Battambang in a comfortable air-conditioned vehicle. Battambang is the perfect place for guests to immersive themselves in the local culture; whether it be wandering around the Buddhist shrines and craft stalls, enjoying a drink in one of the laid-back cafés, meeting artisans, or signing up for an optional tour of the bat caves at Phnom Santuk. After taking in the incredible atmosphere by bike, visit the authentic pottery in Kampong Chanang before reaching the final destination, Phnom Penh. Families will be in their element in Phnom Penh, with rickshaw rides, museums, markets, fishing courses and the grand palace and silver pagoda. As the itinerary comes to an end, visit the local islands on the Mekong and Tonle Sap rivers, meet local weavers and sample fresh fruit and vegetables grown in the rivers’ fertile soil. Although prior cycling experience is recommended, the pace is relaxed and mostly flat; all ages can get involved. A six-night Family Cambodia tour, departing 11 August 2019, costs from £1,524 pp (for a family of four sharing two double rooms). Price includes full-board accommodation (apart from two meals) in three-to-five-star accommodation, services of a local English-speaking guide, air-conditioned support vehicle, transfers during the tour, final day transfer to airport, luggage transportation, water and snacks when riding, all entry costs and attractions listed on the itinerary, cycling jersey and water bottle plus bike hire for all ages. Return flights, arrival transfer, visa and alcohol extra. Children aged 12 years and under receive a 20% discount. Lake Garda has a wide range of activities available, many of which are ideal for families. Aside from the lake being an exceptional destination for relaxation, with the historic centre of Peschiera del Garda offering safe swimming and plenty of amenities, adults and children can also cross the moat to Sirmione Castle, visit the Sealife Aquarium, climb a clock tower, check out the Canevaworld Aquapark, jump aboard a ferry and eat creamy gelato, al dente pasta and fresh pizzas to their heart’s content. Stay at a family-friendly three-star hotel in Peschiera for the six nights and make the most of all the region has to offer. By only having one base, there is no need for unpacking or repacking, plus guests can easily factor in extra rest days if required. After exploring the original Venetian walls and beautiful town of Peschiera, parents and kids can cycle to Solfernio, the site of the famous battle that ended the Italian second war of independence in 1859, pedal to the riverside hamlet of Borghetto, listed among ‘Italy’s most beautiful villages’ and try and complete the labyrinthine maze in Sigurtà Garden Park. Children who need to let off a little more steam can also visit Gardaland, one of Europe’s top theme parks home to plenty of rides and attractions. For a rewarding experience, bike to the Parco Natura Viva, a park that hosts an important (and endangered) zoological collection and find out how a knowledgeable team of biologists, veterinarians and naturalists take care of the 250 animals. 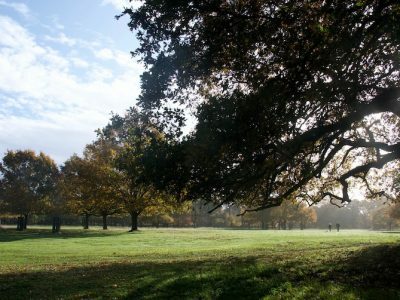 The four easy cycle routes are ideal for families and the flexibility of the programme means guests can be as chilled, or as active, as they would like. A six-night Family Lake Garda – From One Hotel self-guided tour, departing during the summer holidays 2019, costs from £481 pp (for two adults and two children – age three to seven – sharing a quad room). Price includes six nights’ B&B accommodation at a three-star hotel, maps and route information (GPS route available on request) the ferry from Peschiera to Garda and a local contact number for assistance. Return flights, transfers, other meals and activities extra. Bike hire costs from £67 per child (trailers, tag-along connector and child seat available) or £67 per adult (hybrid bike with 27 gears). Comprising fairy-tale castles, pre-historic stilt houses, half-timbered buildings and inviting lidos, spend a week discovering the upper and lower shores of sparkling Lake Constance, on easy rides through Germany, Austria and Switzerland, before finishing in the historic city of Constance. The easy terrain, well-marked paths and child-friendly attractions make this an ideal tour for families. Plus, the hotels have all been chosen because of their relaxed, welcoming atmosphere and native flair; parents and children can experience local life first hand. Highlights include visiting the Lake Dwelling Museum in Unteruhldingen, an open-air museum which features reconstructed stilt houses and prehistoric relics, looking around Langenargen’s Moorish-style Montfort castle (with a Sleeping Beauty style turret) and free entry to the Sea-Life Centre in the city of Constance, which is now home to 10 mischievous Gentoo penguins. The route follows easy terrain with well-marked paths, plus the longest cycle ride is just 25 miles; it’s ideal for kids (and big kids). Two boat trips are included in this tour too, so families can have a break from the saddle. Various discounts are available for children age five to 17. A six-night Family Lake Constance self-guided tour, departing during the summer holidays 2019, costs from £377 pp (for two adults and two children – age 6-13 – sharing a quad room). Price includes six nights’ B&B accommodation in three-star hotels, luggage transportation, maps and route information (GPS tracks available), local contact number for assistance, two boat trips (with bikes), entrance to the Sea-Life Centre and entrance to the Lake Dwelling Museum in Unteruhldingen and the Rosgarten museum in Constance plus a coffee. Return flights, transfers and other meals and activities extra. Bike hire costs from £39 per child (trailers and tag-along available) or £71 per adult (hybrid with 24 or seven gears). To find out more about any of these tours visit www.freedomtreks.co.uk, call 01273 224 066 or follow Freedom Treks on Facebook (Freedom Treks).